It’s almost June and that means it’s time to start thinking about Father’s Day! 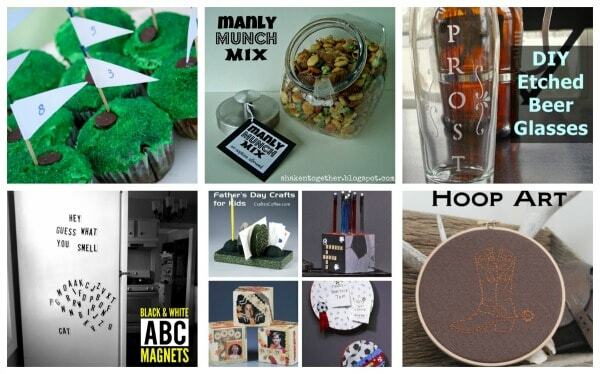 I’ve rounded up over 30 DIY Father’s Day gift ideas from some of my favorite bloggers. 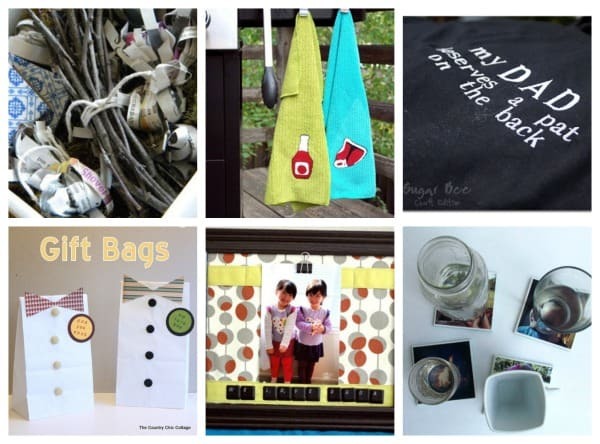 With these projects for inspiration you’re sure to make the day of all the Dads on your list! Thanks to all the awesome bloggers that allowed me to share their projects today-be sure to click through to their projects and show them some love! 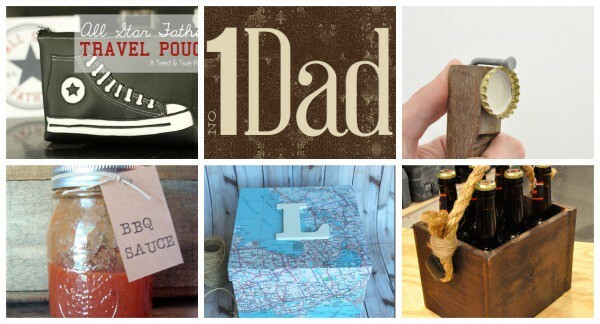 Which Father’s Day gift idea is your favorite? 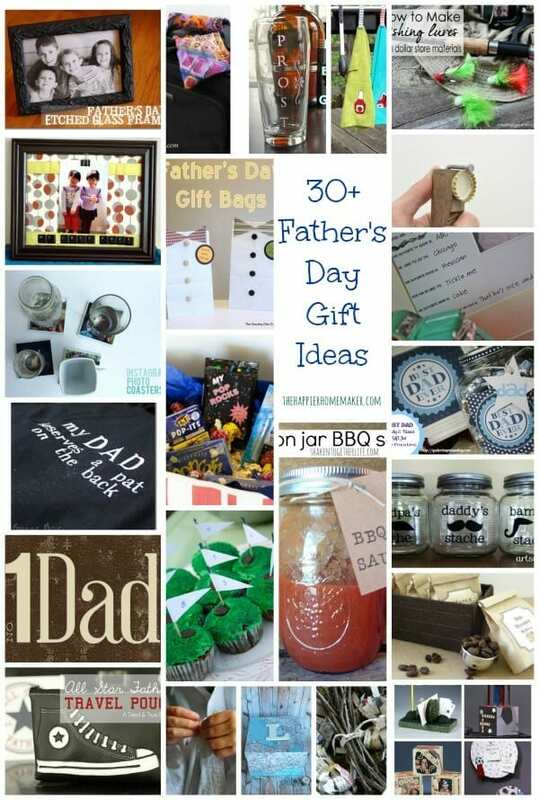 This is a GREAT round up and just in time for me to start DIYing Fathers’ Day this year!! what a great round up! thanks so much for including us! Love all the pictures you included! I’m such a visual person. Thanks for including me! lol my eyes were about crossed by time I finished making all of those collages and listing the coordinating links, that doesn’t surprise me!! Love so many fun ideas for dear old Dad! Thank you for including Crafts ‘n Coffee, too. Sharing, for sure. Thanks for letting me include your post Sharon, I LOVED it! Thank you so much for including Crafts ‘n Coffee, Melissa. I’m sharing, for sure. Thanks for letting me share your project! !